Which of the West Bend dental exam services are a good place for your family to get cared for? You shouldn’t wait to get help because dental issues get worse over time. By using the following tips, you will be able to see someone that knows what they are doing right away. 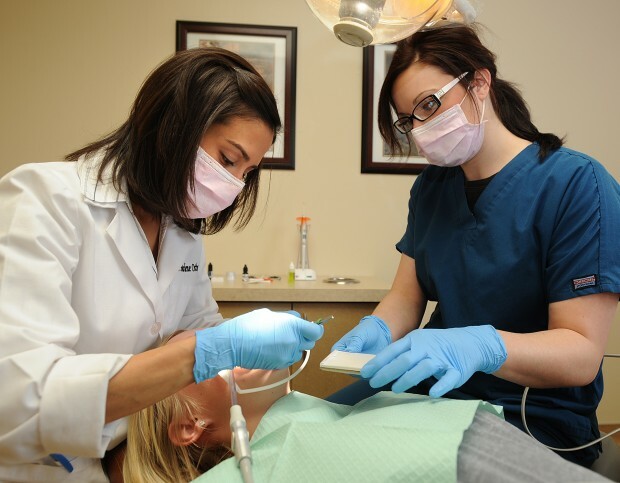 The search for the right services should start with you finding out who offers dental exams in your area. Do you know if they take your insurance or what people are saying about the office in general? Get a list together of the different places you can turn to and then make a call to see what kind of dental plans they take. Then, you can use a search website to look for different reviews. You should never go to a place randomly if you value your health and want to make sure the price you get is a fair one. Getting exams done every few months at least is a good idea. You may not see any cavities or have other issues, but that doesn’t mean there are no problems right now. If you want to make sure you are not going to suffer from losing teeth later on in life, you have to make an effort to get exams done regularly. Your dentist will create a plan with you that you should stick to after your first visit. Waiting to get cavities filled or anything else will end up costing you money later if the problems worsen. If you don’t feel comfortable with a dentist then just ask to see another one. You are not always going to like the people that work on you and that’s okay. Since you are the one spending your money, you can as someone at the office for a different person usually. You should also find a dentist that’s good with kids if you are taking yours there so they can be less nervous about going. Someone that has a bad dentist growing up may not like going in the future and that can be problematic if they have anything go wrong in the future. How do you know which of the West Bend dental exam services are the best? Chances are, if you are careful, you can keep your teeth in perfect shape. Don’t delay and start working through these tips as soon as possible!